Japanese games giant Nintendo reported annual profits of $1.28bn, a 36% rise, due to the continuing popularity of its Switch gaming console. The profits are ahead of Nintendo’s own guidance, which has been repeatedly revised higher on better trading news. The company has appointed a new president, 46-year old Shuntaro Furukawa. He is currently in charge of oversees marketing. Switch, launched last year, has proved a runaway success for Nintendo. It has become the fastest-selling games console in the Japanese firm’s history and the firm’s biggest hit since the Wii was launched in 2006. Sales of Nintendo products more than doubled from the previous year, the company said. Nintendo also said it expects to see impressive growth this year as well. It forecast this year’s net profit would be 18% above this year’s and annual sales to rise 13.7%. 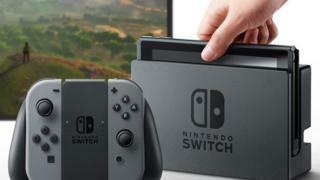 The company said in a statement: “The results for this fiscal year show a very positive trend in global hardware sales for Nintendo Switch, which sold a total of 15.05 million units during this fiscal year. It said its game, Super Mario Odyssey had been “a major hit with audiences worldwide”. It had sold 10.41 million units, bringing Switch software sales to 63.51 million units this year. The Kyoto-based firm also named Mr Furukawa, aged 46, as president from June. “My top priority is to keep and expand the momentum for the Switch,” he said. Incumbent chief Tatsumi Kimishima – a 68-year-old former banker who assumed the role after the death of predecessor Satoru Iwata in 2015 – decided to step down as he is “close to fulfilling responsibilities” to revive the firm, Nintendo said.